The ability to activate your body’s natural healing potential is the empowering concept underlying the science and practice of energy medicine, which enables you to play an active role in your own healing by applying often simple solutions through modalities such as meridian clearing, Qi (or Ki) balancing, acupuncture, EFT (known as tapping), chakra work, Qigong, hands-on healing like Reiki, and many others. Instead of focusing on symptoms and treating those symptoms alone from an external isolationist perspective, as Western medicine does with its mechanicistic approach to the human body, energy medicine focuses on building and harmonising your life force to address the root causes of dis-ease and imbalance, thus healing you from the inside. Reiki is a hands-on healing technique based on the channelling of energy and developed by Mikao Usui in Japan in the late 19th early 20th Century. 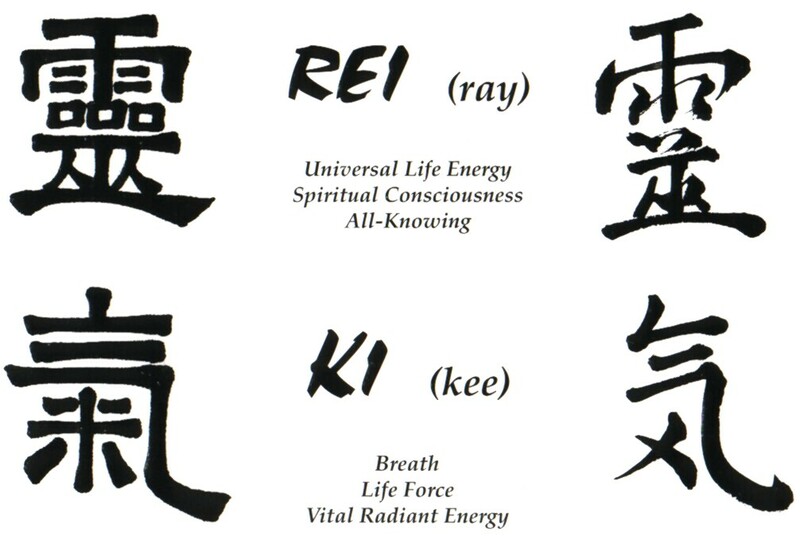 Reiki roughly translates as 'Universal Life Energy'. The word means everything we are and everything we can see, touch and experience and more besides. Mikao Usui developed a method of connecting with this energy and channelling it through to himself and to others. Since then Reiki has evolved into a very effective method of healing on all levels: physical, emotional and mental/psychological, while maintaining its original profound spiritual meaning. When you receive a treatment I connect to Reiki and channel it to flow into you. The energy is drawn according to your specific needs on that occasion. My purpose is to create a healing space that you can use to bring your own energy system into balance. In this sense Reiki promotes self healing to occur even after the session is over. Reiki seems to have an intelligence of its own, flowing where it is needed and creating the healing conditions ideal for each individuals' requirements without presupposing boundaries or directions. The treatment is non invasive and takes place fully clothed, while I gently place my hands directly on or above different areas of the patient's body and head. The sensations experienced during a treatment are very personal and change from one person to the next, but you will likely experience some heat or tingling coming through my hands, a deep sense of relaxation and perhaps see bright colours and light behind your closed eyelids. A Reiki treatment usually lasts one hour, but it can be flexible based on your needs and requirements. The first appointment runs for 75-90 minutes, during which I will make sure that you feel safe and comfortable with the idea of discussing your specific needs and setting a vision for what wants healing; from exploring difficult issues that have kept you from manifesting your true Self, to allowing yourself to take control of how you feel. I will also take your medical history to inform the sessions of any areas that need particular attention on a physical, emotional or cognitive level. Both sessions have had an amazing impact, THANK YOU! After the first, I was able to end a relationship that I was stuck in and mourning the stuckness and the fact that I was in it in the first place. I was feeling the most insecure I ever remember feeling when I arrived with you and finding being with myself very difficult. This lifted afterwards and today I awoke feeling at peace. The general effect of a course of Reiki treatments will make you feel calmer, less stressed and better able to cope with the stress of life. Reiki seems to boost energy levels, raise spirits, and make you feel more positive about things. Stressful situations will seem to wash over you. Reiki brings things back into balance already after one session. This form of healing is very effective and the positive effects of the treatment tend to build up cumulatively. Four to six sessions are usually enough to bring positive changes in cases of stress, tension, anxiety, sleeplessness and with some emotional issues; physical problems may take longer to resolve, depending on the gravity.